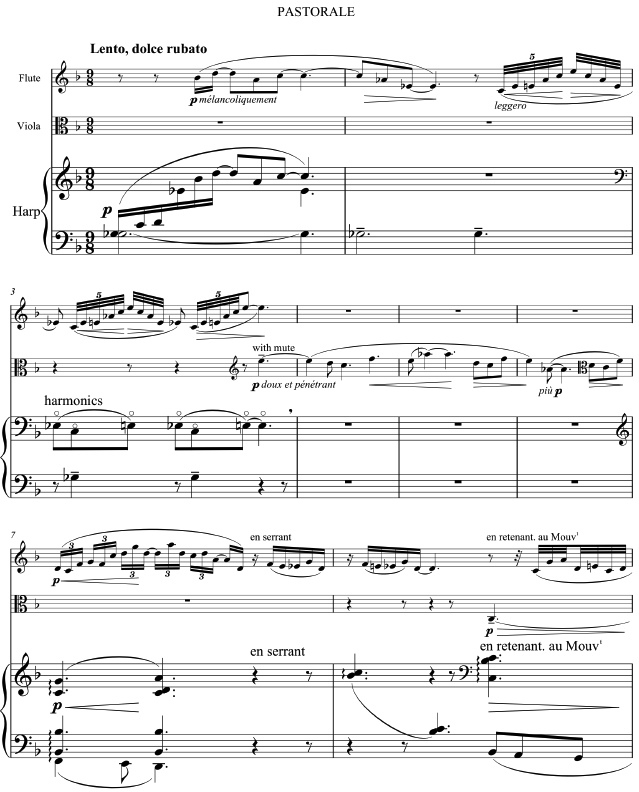 [2/26/2012] Musical storms, part 4 (continued): Verdi, "Rigoletto"
Just put together tremolo violins near the bottom of their range with firsts and seconds playing in minor thirds (underpinned by trembling violas and cellos), plus a pair of bassoons -- plus a wordless chorus humming closed-mouthed behind the scenes. (This is from storm fragment 7 below, Sparafucile saying, "There's still half an hour"; Maddalena saying "Halt, brother"; and the watching Gilda saying, "What! A woman like that weeps, and I do nothing to help him!" And by cultivating different balances among these components, you can create subtly (or even not so subtly) different wind effects. AND YOU CAN GET LIGHTNING AND THUNDER . . .
. . . by punctuating upper-string tremolos with a darting flute figure for lightning, and having lower-string tremolos rumble for thunder. The "trick," in case you didn't guess, is that the excerpts were presented in alphabetical order by their Rigolettos. So Group A featurea Ettore Bastianini, Renato Bruson, Dietrich Fischer-Dieskau, and Nicolae Herlea; Group B, Robert Merrill, Heinrich Schlusnus, Leonard Warren, and Giorgio Zancanaro. (Just to be absolutely clear: There was no significance to the separation into groups beyond the numerical, to make for two more manageable gulps of storm warnings.) Here they are again, but this time I would encourage you to focus on the storm effects of lightning, thunder, and wind. 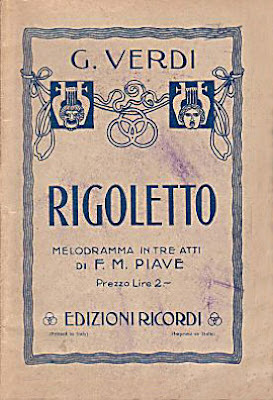 VERDI: Rigoletto: Act III, "Egli è Delitto"
RIGOLETTO: He is Crime; I am Punishment. SPARAFUCILE: The storm is getting closer. MADDALENA [pushing him away]: Wait -- my brother is coming. SPARAFUCILE [entering]: It's going to rain soon. MADDALENA [softly to the Duke]: Ah no! You must leave. DUKE [to Maddalena]: In this weather? SPARAFUCILE [softly to MADDALENA]: It means twenty gold scudi. MADDALENA: God! What a night this is! SPARAFUCILE: Sir, may God protect you. GILDA: Ah, my reason has left me! Love draws me back . . . Father, forgive me! [Thunder] What a terrible night! SPARAFUCILE [throwing MADDALENA a sack]: Mend this sack! GILDA: I see hell itself! What the devil do you mean? MADDALENA: Ah, have mercy on him! MADDALENA: I'll see he escapes in time. MADDALENA: We must save him. GILDA: Oh, what a temptation! To die for the ingrate? SPARAFUCILE: There's still half an hour. MADDALENA [weeping]: Halt, brother . . .
GILDA: What! A woman like that weeps, and I do nothing to help him! MADDALENA: A knock at the door? SPARAFUCILE: It was the wind. MADDALENA: Someone's knocking, I tell you. SPARAFUCILE: How strange! Who's there? MADDALENA: A long night will it be! MADDALENA: Get on with it! We've already heard the Storm Scene straight through in Friday night's preview, and we've got a couple more performances available, which I'll direct you to in a moment. For now, though, I thought we'd listen to this English-language performance. We pick up just after Rigoletto has sent Gilda home (with instructions to change and leave immediately for Verona), after dragging her out to the godforsaken dilapidated little inn where the assassin he's hired, Sparafucile, has had his sister (and business partner) Maddalena entice the Duke of Mantua. He thought by showing her the Duke's true colors she would get over her infatuation. It didn't work, though. (Just how badly it didn't work we learn when we discover that she's still in the area. As I mentioned, we've got two more performances of the Storm Scene ready for clicking, following two performances of the first third of Act III, as explained below. Since this isn't strictly speaking part of our subject unit today, and the English texts will take up a fair chunk of space, I've moved this section off-site. We're going to hear two recordings from which we've already heard selections. As it happens, they're both recordings of broadcasts from 1944, which took place probably less than six months apart. They're pretty different, but both of sufficient interest, I think, to warrant continued attention and enjoyment. For the final scene of the act, the one we haven't talked about at all, we have two pretty potent, and again very differnt, teams, with Leonard Warren and Zinka Milanov as Arturo Toscanini's Rigoletto and Giilda and Heinrich Schlusnus and Erna Berger as Robert Heger's. 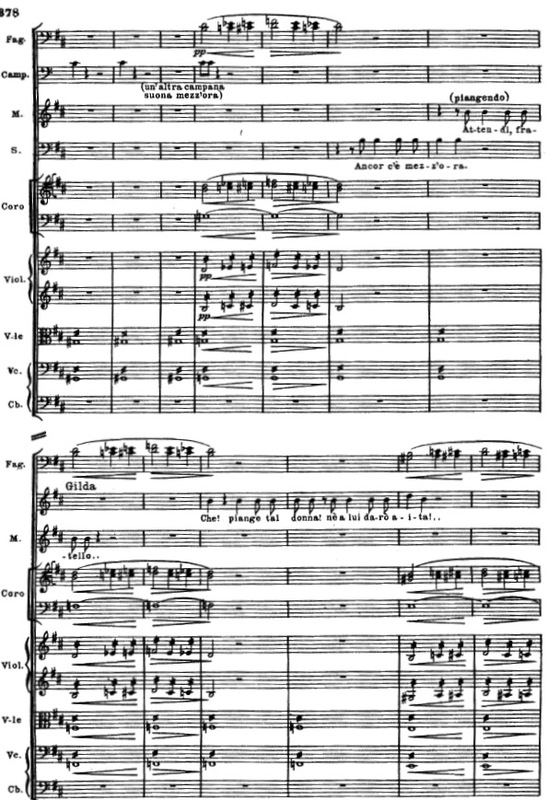 In Toscanini's Act III there is a high level of exactitude in the rendering of Verdi's musical notations, but not for the purpose of exactitude. Almost always Toscanini is finding the expressing necessity and human urgency of those instructions. His tautly dramatic realization of the storm figurations is an excellent example. Act III is, sadly, all of Rigoletto that was include in that June 1944 concert, whereas the 1944 Berlin broadcast performance, solidly conducted by the always dependable Heger (1886-1978) -- nearly 58 at the time, but with more than two decades of solidly dependable music-making still ahead of him. 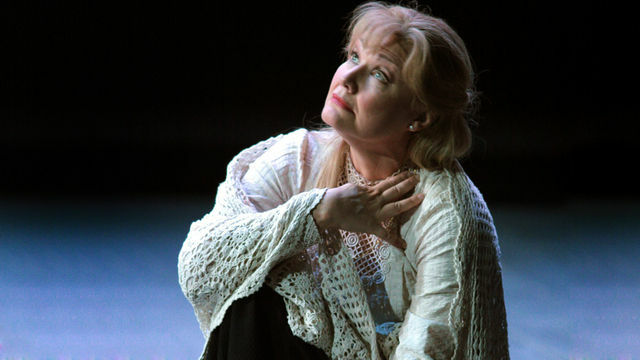 Toscanini deployed a cast that would have been familiar to New Yorkers of the time, though I don't imagine that anyone would have expected to hear the great dramatic soprano Milanov in the lyric-coloratura role of Gilda. (She's really good, isn't she?) In the Berlin performance we re-encounter our old friend Schlusnus, whom we heard at length as Wolfram in Wagner's Tannhäuser, along with the singularly affecting Berger. I'm not an unalloyed fan of tenor Helge Roswaenge, but the voice has plenty of presence; this is about as un-namby-pamby a Duke as we're going to hear, and some of it is authentically terrific. The 1944 Berlin Rigoletto part of the large harvest of recordings from the later '30s and early '40s made possible by German engineers' widespread use of magnetic recording tape well before it came into use elsewhere. You can find English texts here (and, separately, the Italian original). Just click on "E" for English (or "I" for Italian). [2/26/2012] Musical storms, part 4 (continued): Janáček, "Kátya Kabanová"
The plot of the opera is way too intricate to go into here; Wikipedia has a useful synopsis. For our purposes I hope it will suffice to note that Kátya is another of those people all too common in Janáček operas who are trapped by their circumstances, and with no way out of their hopeless situation make a misstep from which there will be no coming back. In her case, she has cheated on her not-much-of-a-husband. The interaction of her conscience and this violent storm produces devastating results. First we have an intimation of the storm to come. A ruined building with colonnades and vaulted ceilings around it grass and bushes. Through the arches, view of the Volga and its bank. Late afternoon on a dull day with rain clouds. VÁŇA: There's a storm coming! KULIGIN: Lucky there's somewhere to take shelter! VÁŇA: What a crowd on the promenade here! KULIGIN: Looks as if everyone will be piling in! VÁŇA: These merchants, dressed up to the nines! KULIGIN: Look at this! Must have been paintings on the walls! VÁŇA: The place was burnt out. KULIGIN: This one must be Gehenna -- all the fires of Hell! VÁŇA: They never repaired the building afterwards. KULIGIN: It shows all sorts of people dropping down into it. VÁŇA: That's the way it is, my friend! KULIGIN: People of every rank! VÁŇA: That's it -- you've got the idea. VÁŇA: Right you are! Blackamoors and all! DIKOJ : Get away from me! Move along sharp! Don't crawl over me, boy! I may not even want to speak to you! Poking your snout in other people's conversation! VÁŇA: We get a lot of storms in these parts. What are these conductors of yours anyway? DIKOJ : I see, rods. VÁŇA [explaining with gestures]: You let them down into the ground. DIKOJ : Then what? Then what? DIKOJ [rolling his sleeves up menacingly]: And what exactly is a storm in your theory? DIKOJ [stamping his foot]: Electricity? Electricity my foot! Look at him! Are you telling me he isn't a swindler? to make us realize the power of the Almighty! skewers and things to protect us from that?! What are you? Some heathen Tartar, are you? VÁŇA: Savjol Prokofjič! Your worship! his mind has quelled the thunder!" DIKOJ : You heard what he said, gentlemen? Arrest him! One of these phony peasants! [Turning to the bystanders] Damn you people, you'd provoke a man into sin! [To Vaňa] Has the rain stopped? Just a moment later, all hell breaks loose. The setting is the same as above, just a minute or so later. Distant thunder. KÁTYA [rushing in, taking VARVARA's hand and gripping it frenziedly]: Oh, Varvara! It's going to kill me! A WOMAN FROM THE CROWD: There's some woman here scared to death. VARVARA [to KÁTYA]: Enough of that, already! [basses] When judgment is passed, there's no escape! KÁTYA: My heart aches so! VÁŇA [with BORIS, backstage of him]: What are you afraid of, may I ask? and you hide yourself away? KÁTYA [seeing BORIS]: God, what does he want here? Isn't it enough to see what I am going through? VARVARA: Hush now, kneel down and pray a little. What sins can she have on her mind worth mentioning? KABANICHA: There's no fathoming other people's souls. KÁTYA [suddenly falling to her knees]: Mama! Tichon! I have sinned before God and before you two! I am a sinful woman! whilst you were gone, Tichon? I did without you? On the very first night . . .
TICHON: Stop, there's no need for this! VARVARA: She doesn't know what she's saying. KÁTYA: . . . I ran out of the house . . .
KABANICHA: No. Speak up, speak up, once you've started! KÁTYA: . . . and every night, ten nights, I dallied with him. VARVARA : You can tell she's lying -- she doesn't know what she's saying. KABANICHA: My son, it's turned out as I said. [2/26/2012] The first two-thirds of Act III of "Rigoletto"
of Lyric Opera of Chicago's Rigoletto. The right bank of the River Mincio. On the left is a two-storied house, half fallen into ruin. At ground level, beyond an arcade, the interior of a rustic wine shop can be seen and a rough stone staircase leading to a loft with a small bed, which, since there are no shutters, is in full view. Downstairs, in the wall facing the road, is a door that opens inwards. The wall itself is so full of cracks and boles here that whatever takes place within is clearly visible. In the background are the deserted fields along the Mincio, which runs behind a crumbling parapet. Beyond the river lies Mantua. It is night. 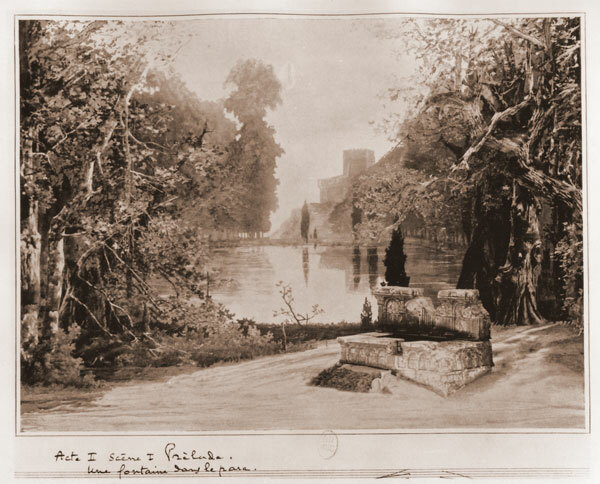 GILDA and RIGOLETTO, both ill at ease, are standing in the road; SPARAFUCILE is seated at a table in the wine shop. 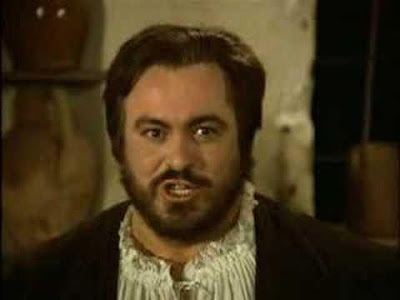 RIGOLETTO: And you love him? GILDA : I always will. 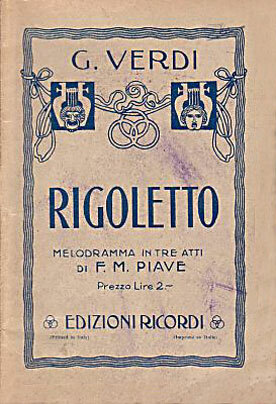 RIGOLETTO: Yet I have given you time to forget. RIGOLETTO: Poor woman's heart! Ah, the scoundrel! GILDA: Have pity, my father! GILDA: I do not know, but he adores me. RIGOLETTO: Well then, just watch. GILDA: I see a man. DUKE [to SPARAFUCILE]: Two things, and quickly. DUKE: A room and a bottle of wine! the face is false for sure. Women are as fickle, etc. SPARAFUCILE: Your man's in there. Is he to live or die? RIGOLETTO: I'll come back later to conclude our business. MADDALENA: Leave me alone, you scatterbrain! DUKE: Ho, what a fuss! [Caressing ber hand] Pretty white hand! MADDALENA: You are joking, sir. DUKE: No, no. I want to marry you. MADDALENA: I want your word of honor. DUKE [ironic]: Sweet little maid! RIGOLETTO [to GILDA, who has seen and heard all]: Haven't you seen enough? what such play-acting is worth! RIGOLETTO [to Gilda]: Hush, weeping can do no good. RIGOLETTO: Listen to me, go home. GILDA: Come with me now. [The DUKE and MADDALENA continue to laugh and talk together as they drink. GILDA having left, RIGOLETTO goes behind the house and returns with Sparafucile, counting out money into the cut?throat's hands. RIGOLETTO has come to this remote, dilapidated inn to show GILDA what her dearly beloved is really like and to conclude his "contract" with the hired assassin SPARAFUCILE. Following the Quartet, he instructed GILDA to go home, dress as a man, and leave immediately for Verona. 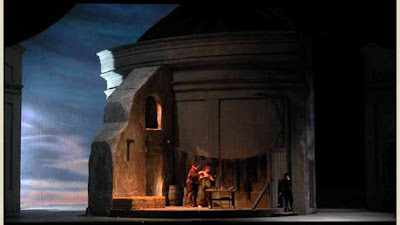 RIGOLETTO goes behind the house and returns with SPARAFUCILE, counting out his money for him. RIGOLETTO: At midnight I shall return. RIGOLETTO: No, no, I want to do it myself. SPARAFUCILE: All right. His name? RIGOLETTO: Do you want to know mine as well? He is Crime; I am Punishment. DUKE: So much the better. DUKE: Good; I’ll be with you in a moment. MADDALENA: (Poor lad! He's so handsome! DUKE [upstairs, noticing that the loft is open on one side]: We sleep in the open, eh? Good enough! DUKE: We'll sleep a little; I'm tired. MADDALENA: He is really most attractive, this young man. SPARAFUCILE: Oh, yes . . . to the tune of twenty scudi. MADDALENA: Only twenty! . . . That's not much! He was worth more. SPARAFUCILE: His sword: if he's asleep, bring it down to me. MADDALENA [having put the DUKE's sword on the table]: Brother? GILDA [peeping through a crack]: Who is speaking? SPARAFUCILE [rummaging in a cupboard]: Go to the devil! he loves me . . . let him be . . . let's spare him. SPARAFUCILE [throwing her a sack]: Mend this sack! MADDALENA: Listen -- my plan is simple. he's coming later with the rest . . .
GILDA: What do I hear?. . . My father! MADDALENA: Come on, get on with it, finish the job. GILDA: (Ah, death is near, and I am so young! They're from a December 1967 Turin Radio performance, and now we hear them in their proper order. I switched them for several reasons, not least that they will recur in the Storm Scene in the opposite order. But now we'll hear them in the order in which they actually appear in the opera: first, possibly the most famous of all tenor arias, the Duke of Mantua's "La donna è mobile"; then the shortly-ensuing quartet, led off by the Duke's "Bella figlia dell'amore," in which the Duke woos the young woman who has lured him to this remote dive of an inn, Maddalena, observed from outside by Rigoletto, who has hired her brother to murder the Duke, and Rigoletto's daughter, Gilda, still in love with the philanderer. Aria, Duke of Mantua, "La donna è mobile"
The portion of the storm we heard before the click-through, by the way, was from my much-loved July 1964 DG Rigoletto conducted by Rafael Kubelik, with Ivo Vinco as Sparafucile, Fiorenza Cossotto as Maddalena, Renata Scotto as Gilda, and the chorus and orchestra of La Scala. For the full scene, note that I chose the Gardelli-Eurodisc recording in good part because it's the most satisfactory CD version I found in my collection that has no internal track points, which in our format would have occasioned track-switching interruptions. The Toscanini performance, from his complete Act III (which we're going to hear on Sunday), was dubbed from LP. This is part 1 of Jeux, danced by Alessandro Molin, Carla Fracci (at age 67! 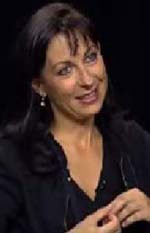 ), and Silvia Curti, in an attempted reconstruction of the original Nijinksy choreography by Millicent Hodson, at the 2003 Abano Terme Festival of Dance. (The town of Abano Terme is 10 km southwest of Padua in Italy's Veneto region, more or less ringed by Verona, Vicenza, Treviso, and Venice -- here's a map.) Here are part 2 and part 3. WE HAVE THREE MORE DEBUSSY "IMPRESSIONS"
At the end of his life, Debussy was midway through a planned set of six sonatas "for diverse instruments," completing only a Sonata for Cello and Piano (1915), this Sonata for Flute, Viola, and Harp (also 1915), and a Sonata for Violin and Piano (1917). The combination of flute and harp was a familiar one, especially beloved of French composers. (I'm trying to remember whether we've heard the extraordinary flute-harp duo Berlioz incorporated into Part III of L'Enfance du Christ as impromptu entertainment offered to the Holy Family by the Ishmaelite householder who has just rescued them from the brink of death.) But the addition of the viola, sometimes combining with, sometimes contrasting, and sometimes opposing, makes for a distinctly different soundscape. 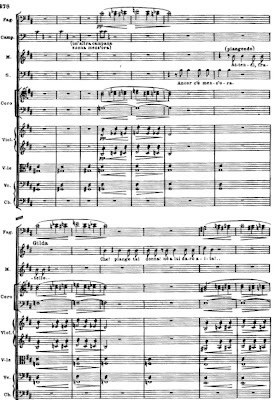 So much of Debussy's music is magnificent for the flute -- straight off I can think of Syrinx for solo flute, or that chromatic line in the introduction of Prélude à l'après-midi d'un faune, or La Mer [all of which we've heard in previous Sunday Classics posts; see the "Sunday Classics Debussy" listing -- Ed. ], or Pelléas et Mélisande. But if I had to pick one work, I'd go for the Sonata for Flute, Viola, and Harp. There is so much happening between the notes in the work -- the notes are moving forward like waves and the idea of taste and smell that emerges from it is unbelievable. Experiencing this power with the other musicians as you perform it is something quite intimate, almost like making love -- having an audience there is almost voyeurism. Sensuous and voluptuous, it's music that really gets under your skin. This sonata isn't a piece I knew well, though I was surprised to discover that I own a score, which means that at some point I spent some time with the piece for some reason. (At least I thought to check!. It's happened a bunch of times that I realized I had a score only after I'd written about the piece.) 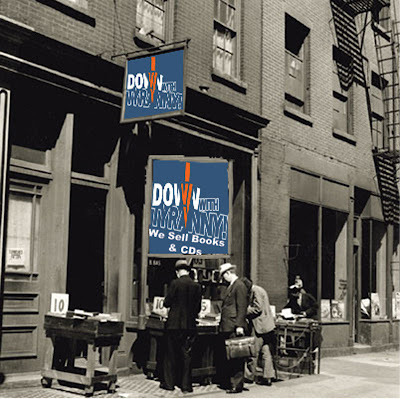 The piece has come to be heard a lot more than it used to be; when I did some online research, I was startled to find listings for 44 recordings! Even among our three you'll notice a trend to broadening the thing. In the case of the Nash Ensemble recording in particular, note how flutist Philippa Davis and violist Roger Chase are able to "equalize" their respective tones -- in the opening of the piece, it's possible to not notice where the viola takes over from the flute (at the end of bar 3 in our printed page). 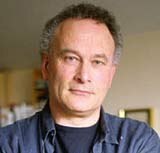 We've already had one partial vote for Jeux, which composer Colin Matthews cited in his choice of Rondes de printemps: "My immediate reaction was to go for Jeux, which I couldn't live without; but the piece which exemplifies what I most love about Debussy is Rondes de printemps, from the orchestral Images. . . ."
Neither of the pieces by Debussy that inspire me most are for piano. The first is Pelléas et Mélisande because it was the no-return point for me. About 15 years ago I was touring in Asia. I listened to the marvellous recording by Herbert von Karajan [we heard the opening scene in last night's preview -- Ed.] in my hotel room and I began to cry. For several years I could not hear a note by Debussy without being moved to tears. Shortly after I wrote a piano version of Jeux -- probably the ultimate in his orchestral and harmonic writing -- which was another turning point for me, a chance to be immersed in the piece's architecture, to plunge into the score. The scene is a garden at dusk; a tennis ball has been lost; a boy and two girls are searching for it. The artificial light of the large electric lamps shedding fantastic rays about them suggests the idea of childish games: they play hide and seek, they try to catch one another, they quarrel, they sulk without cause. The night is warm, the sky is bathed in pale light; they embrace. But the spell is broken by another tennis ball thrown in mischievously by an unknown hand. Surprised and alarmed, the boy and girls disappear into the nocturnal depths of the garden. We hear a lot of yammering about the importance of authentic "style" in musical performance. True, all three of our conductors are French, and I'm sure that gave them a leg up, but it isn't some sort of imagined "Debussy style" that brought them to these remarkably different but all remarkably persuasive performances -- it's doing the performer's basic job of imaginative identification with the material, especially in the cases (once again!) of Rosenthal and Martinon. 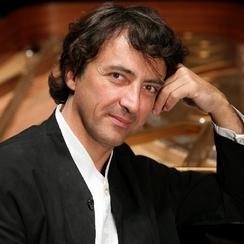 We've already had Pelléas cited by both of today's previous choosers -- and in the excerpt we're about to hear it should be clear why it's so dear to flutist Emmanuel Pahoud's heart. You don't have to agree with everything soprano Natalie Dessay has to say about it (actually, I don't agree with much) to appreciate her connection to it. I think it must be the chemistry between the words and the music which makes Pelléas et Mélisande such a wonderful opera -- and unique; its music seems to come from another planet. I think this is the only opera I have chosen to do because of the music and not the character. Mélisande is an absolute mystery. I still don't understand her -- and that's how it should be. One almost has to intone her words rather than sing them, and because of this I believe you must truly know French to give the music what it deserves. It's such a beautiful language, but very complicated to sing. Pelléas makes you realize that Fench is not flat, but phrased in little waves. The music of Debussy is really like a language that resides in my body and my mind -- it's part of me. The opening of Act III of the opera not only gives us some prime Mélisande but seems to me as good a "demonstration" chunklet as we could rip out of it. It's also a much easier scene to make play in the imagination than on the stage, where it's nearly impossible to get the physical relationship between the characters right -- Mélisande in her room on the tower, Pelléas on the ground outside -- not to mention the whole business of M's hair. We know that Golaud and Pelléas are half-brothers, grandsons of Arkel, the blind old king of Allemonde. We know too that they are both sons of Geneviève, who -- given the circumstances set out in the libretto -- can only be the daughter-in-law of Arkel, having been married sequentially to both of his sons, and having a son with each (making the boys cousins as well as brothers!). Golaud, following a long estrangement from his family, has returned to the gloomy castle bringing along a mysterious, much younger bride, Mélisande (we saw their exceedingly unusual meeting in the opera's opening scene). Mélisande and Pelléas are almost immediately gripped by a mutual attraction but pretend, most unconvincingly, that nothing is happening -- for a while. Act III is set outside one of the castle towers. A circular path passes under a window of the tower. MÉLISANDE [at the window, while she combs her unbound hair]: My long hair descends all the way to the foot of the tower. My hair waits for you all the length of the tower. And all the length of the day. a Sunday at noon . . .
PELLÉAS [enters by the circular path]: Holà! Holà! Ho! PELLÉAS: Me, me, and me! singing like a bird who isn't from here? MÉLISANDE: I'm arranging my hair for the night. PELLÉAS: It's that that I see on the wall? I thought you had some light there. it's too warm in the tower. but the moon is still over the sea. so I can see your hair unbound. MÉLISANDE: I'm hideous that way. Oh,you're beautiful! you're beautiful that way! Lean over! Lean over! Let me come closer to you. MÉLISANDE: I can't come closer to you. I'm leaning over as much as I can. PELLÉAS: I can't climb any higher. PELLÉAS: Yes, yes, I'm leaving, I'll leave tomorrow. Give me your hand, your hand, your little hand on my lips. MÉLISANDE: I'm not giving you my hand if you're leaving. PELLÉAS: Give it, give it, give it! PELLÉAS: I'll wait, I'll wait. MÉLISANDE: I see a rose in the darkness. down there, in the somber green. PELLÉAS: It's not a rose. but give me your hand first, first your hand. I can't lean over any more. PELLÉAS: My lips can't reach your hand! MÉLISANDE: I can't lean over any more. I'm on the verge of falling. [Her hair suddenly turns over while she's leaning thus, and envelops PELLÉAS.] Oh! Oh! My hair is falling from the tower. PELLÉAS: Oh! oh! what is it? Your hair, you hair falls toward me. All your hair, Mélisande, all your hair has fallen from the tower! I went a little wild here with audio files of our portion of the Act III scene, not knowing quite what I would wind up using. I thought i would pick two or three and then link to the others, but in the end, what the heck?, the files are there, and nobody's forcing you to listen. Friday night we heard the opening scene of the opera from the 1964 Ansermet and 1969-70 Boulez recordings, and in this scene the Boulez really asserts itself for the strong casting of the title roles -- Söderström is a wonderful Mélisande and Shirley an outstanding Pelléas, and atypically a tenor one. (High as the role lies for the baritones who usually undertake it, the lie of the role actually makes it harder for tenors.) Unfortunately, the Mélisande is the weakest cast link in the two commercially released French Radio broadcast performances conducted by Désiré-Émile Inghelbrecht, one of the greatest of Debussy (and Pelléas) conductors. I thought the Colón and Met performances might be of interest for their lovely Mélisandes (and in the Met performance another tenor Pelléas, Gedda). In various arrangements as well as the piano originals: "Clair de lune," "La Fille aux cheveux de lin" ("The Girl with the Flaxen Hair"), and "Golligwogg's Cake-walk"
A forest. As the curtain rises, MÉLISANDE is discovered at the edge of a spring. GOLAUD enters. GOLAUD: I will no longer be able to get out of this forest! God knows where that beast has led me. and here are traces of blood, but now I've lost sight of it. I think I'm also lost myself, and my dogs aren't finding their way back to me. I'm going to retrace my steps. I hear crying. . . .
Oh! oh! What's that there at the edge of the water? A little girl who's crying at the edge of the water? Don't be afraid. You have nothing to fear. Why are you crying, here, all alone? MÉLISANDE [almost without voice]: Don't touch me! Don't touch me! GOLAUD: Don't be afraid . . . I won't hurt you . . .
MÉLISANDE: Don't touch me, don't touch me, or I'll throw myself in the water! GOLAUD: I'm not touching you. [gentle and calm] See, I'll stay here, under the tree. Has someone done you harm? GOLAUD: What harm have they done you? MÉLISANDE: I don't want to say it ! I don't want to say it! GOLAUD: Let's see, don't cry like that. MÉLISANDE: I've fled . . . fled . . . fled . . .
GOLAUD: Yes, but where did you flee from? Oh! oh! lost here . . . I'm not from here . . . I wasn't born there . . .
GOLAUD: Where are you from? MÉLISANDE: Oh! oh! far from here . . . far . . . far . . .
GOLAUD: What's shining like that at the bottom of the water? It's the crown that he gave me. Who is it who gave you a crown? I'm going to try to grab it . . .
MÉLISANDE: No, no, I don't want it anymore! I don't want it anymore! I prefer to die . . . to die right away! the water isn't very deep. MÉLISANDE: I don't want it anymore! If you retrieve it, I'll throw myself in its place! GOLAUD: No, no, I'll leave it there. One could get hold of it without difficulty, however. Has it been a long time since you fled? the grandson of Arkel, the old king of Allemonde. MÉLISANDE: Oh! you already have gray hair! GOLAUD: Yes, some, here, near the temples. MÉLISANDE: And the beard too. GOLAUD: I'm looking at your eyes. You never close your eyes? MÉLISANDE: You are a giant! GOLAUD: I'm a man like the others . . .
MÉLISANDE: Why did you come here? GOLAUD: I don't know anything about it myself. I was hunting in the forest. MÉLISANDE: I'm starting to feel cold . . .
GOLAUD: Do you want to come with me? MÉLISANDE: No, no, I'll stay here. GOLAUD: You can't stay here all alone. GOLAUD: You can't stay here, Mélisande. GOLAUD: You'll be afraid, all alone. One doesn't know what will happen here . . . all alone . . . it's not possible. [with a great gentleness] Mélisande, come, give your hand . . .
MÉLISANDE: Oh! don't touch me! I won't touch you anymore. Night will be very black and very cold. MÉLISANDE: Where are you going? GOLAUD: I don't know. I'm lost too. This scene is so full of astounding things -- really, it's nothing but an unbroken sequence of astounding things -- that I wouldn't know where to stop if I began to catalogue them. Consider, though, that for a text invariably branded with the label "symbolist" (since the author of the play that provides the libretto, Maurice Maeterlinck, is invariably identified as a leading practitioner, as poet and playwright, of the French Symbolist school), the actual dialogue is extraordinarily true-to-life and precise. Even when the characters veer into the realm of the poetic, it's in amazingly real ways. In this context, it's fascinating to note how Mélisande, deliberately or otherwise, evades most of Golaud's fairly obvious questions, but does choose to answer some, and note how Debussy has musicalized her responses, both the responsive and the seemingly nonresponsive ones. The musical characterization of Golaud is every bit as fascinating; I would just note the sense of him we get when he identifies himself ("Je suis le prince Golaud . . .") in response to Mélisande's question -- when she finally asks one! And that order, you'll note, is chronological order, starting with the two Ansermet recordings. In both performance and recording, the not-widely-heralded stereo one seems to me upliftingly bold and vividly colored. (I expressed a strong preference for the stereo version in the Pelléas chapter of the Metropolitan Opera Guide to Recorded Opera.) I love the 1964 Ansermet recording, and have never much warmed to the generally much-more-admired 1952 one, in which even singers as generally admirable as Suzanne Danco and Heinz Rehfuss (we've heard Rehfuss sing some gorgeous Mahler) sound strangely prettified and disengaged, to a degree that for me exceeds the bounds of what might be called an "interpretation." I also like the Boulez-CBS Pelléas, and hope the more recent CD edition does it better justice than this original one. The Abbado-DG is certainly nicely recorded, and certainly OK, or OK-ish, but really not in the same class, though I do enjoy José van Dam's Golaud (at least in this early scene, before things get ugly). SORT OF BAIT-AND-SWITCH -- SO MAYBE . . .
Sure, we could have Karajan too, and this time let's let the music run just a tad longer, to hear the completed transition from our forest scene to the room in Arkel's castle where Geneviève is in conversation with her father-in-law, the king, saying: "Here's what he wrote to his brother Pelléas." 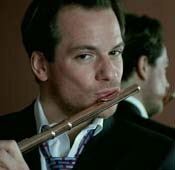 It's certainly a very lovely performance -- pretty playing, pretty singing. And you can hear that Frederica von Stade is trying to assemble some sort of character life for Mélisande. But mostly what I hear is qualities rather than people and urgencies. And note that the mystery is pretty well gone. AND NOT TO WORRY, MUSICAL-STORM LOVERS: The final installment in that series, spotlighting the great storms of Verdi's Rigoletto and Janáček's Kátya Kabanová, is still in the works, at the moment penciled in for next week. The chords representing church bells in "The Submerged Cathedral"
Préludes, Book I: X. "La Cathédrale engloutie"
Above we hear the quickest (Marcelle Meyer's) and most spacious (Krystian Zimerman's) of the six CD recordings I laid hands on of the Debussy piano prélude "La Cathédrale engloutie." Now, as promised, we read about and hear it and two more piano works, plus -- to go with our piano Image -- the last of the three Images for Orchestra. Like many people, I was introduced to Debussy's music through his piano works -- specifically the first Arabesque. As a teenager, I found the French composer's music instantly attractive to play (and not just because it was a damn sight easier than Rachmaninov or Bach). This was music that spoke to me -- music that broke free from the rules that the fusty sonatas of Beethoven or Mozart, or so they seemed to me at the time, stuck to bar after bar. Debussy's ethereal harmonies delighted me -- the idea that I could conjure up reflections in the water, the light of the moon or even a sunken cathedral (whatever that was) gave me countless reasons for practising. 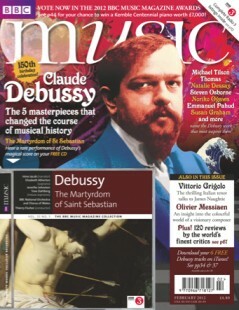 So I suppose I could say that Debussy may well be the reason why I decided to carry on playing. 2. Images for Piano, Series 1: "Reflets dans l'eau"
While I really love all the Études, particularly the one for sixths, I still have such vivid childhood memories of seeing André Watts on television playing "Reflets dans l'eau" from Images Book I. I just thought it was the most beautiful piece of music. I thought that I would like to play this piece myself, and so in a way it changed my life. The challenges for a player lie in the very fast demi-semi-quavers [16th notes] which have to sound very fluid in order to achieve the needed flexibility of sound and tone colours. And there are also tiny little differences from one figuration to another -- they sound and look very similar, but there may be only one note different. To do what Debussy wanted, you have to look very closely at every note. Note how differently our pianists handle those right-hand 16th-note passages, broadening out to almost individual chords in Peter Frankl's beautiful performance. He isn't looking in the same water, or seeing the same reflections, as, say, Walter Gieseking in his patrician performance. 3. Préludes, Book I: X. "La Cathédrale engloutie"
For me, "La Cathédrale engloutie" has a lot of sentimental associations. I learnt it when I was a kid and loved playing it -- technically it's pretty simple, and yet there are these amazing sonorities he gets from the piano. But then, as I got older, I realised more and more what an astounding piece of music it is. You have this opening rising figure that comes back constantly, but the piece develops in slow motion into this overwhelming climax when the figure becomes the melody. He does it all with such amazing economy of means. Part of the skill in playing it lies in how you layer the sound -- it has to have an incredible sense of space and you have to control the sound well enough from the first chord to ensure that space isn't disturbed. . . .
Wikipedia notes: This piece is based on an ancient Breton myth in which a cathedral, submerged underwater off the coast of the Island of Ys, rises up from the sea on clear mornings when the water is transparent. Sounds can be heard of priests chanting, bells chiming, and the organ playing, from across the sea. 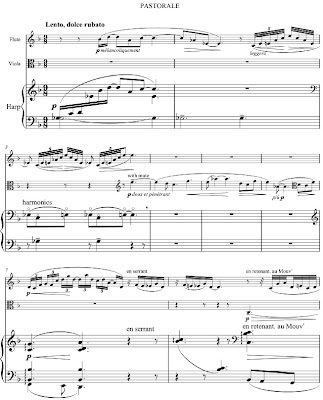 Accordingly, Debussy uses certain harmonies to allude to the plot of the legend, in the style of musical impressionism. . . .
As noted, we've already heard our fastest and slowest performances, both beauties, up top. 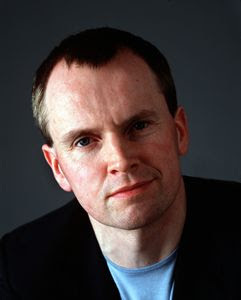 If this "astounding piece of music," as Steven Osborne calls it, doesn't plug directly into the imagination, what's the point? It's also an excellent idea if we can feel it building to that "overwhelming climax," which nobody does better than the implacable Gieseking. If I hadn't made the MP3 file of the Pollini performance first of all, anticipating that it would be an interesting change of pace, I'm not sure I would have included it; cleanly and even prettily played as it may be, I don't hear it building or in fact going much of anywhere. I'm sure, though, that you'll find people who'll tell you what a great performance it is. My immediate reaction was to go for Jeux, which I couldn't live without; but the piece which perhaps exemplifies what I most love about Debussy is Rondes de printemps, from the orchestral Images. It's such a wonderfully elusive piece -- as soon as you've grasped one element of it, off it goes somewhere else. Yet it retains such a strong sense of direction through the constant beauty and subtlety of Debussy's inimitable soundworld. The melodic ideas start by being fragmentary but build towards a brilliant climax -- and it's all achieved with an orchestra that has no trumpets or trombones. Manuel Rosenthal acknowledges in a 1996 interview in the Debussy CD booklet that he didn't have a great deal of rehearsal time for the remarkable recordings he made in the late '50s for the plucky Adès label of the major orchestral works of Debussy and Ravel with the Paris Opera Orchestra, which you wouldn't think had played this music much. Perhaps this has something to do with the performances' freshness and seeming spontaneity, though the quality that most strikes me in this Rondes de printemps is, well, intimacy -- with no lack of boldness. We've heard a number of selections from both series, as we have of Jean Martinon's equally remarkable early '70s EMI Debussy and Ravel series. Here the word that pops to mind is mysterious, maybe even eerie. Finally, the Boston Symphony as cultivated by then-music director Charles Munch in the '50s may have been the best "French" orchestra the music world has ever known, and everything seems to me beautifully in place in this classic recording.